A great way to dilute and spray your favorite products! The Adjustable Triggers and the Universal Replacement Flip Top Caps fit great! 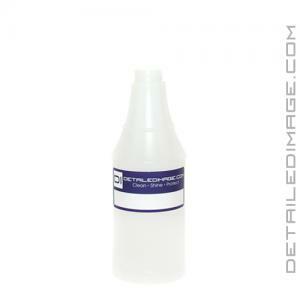 Safely and easily apply and/or dilute all of your favorite detailing products with the DI Accessories Empty Bottles! Having many detailing products on hand is necessary, but what happens if a bottle breaks, you want to spay a product onto the surface and it does not come in a spray bottle, or even worse, it is a concentrated product and you need to pour it out to make sure it is diluted properly. The DI Accessories Empty Bottle is a great choice to tackle any of these situations and much more! Interior cleaners, wheel cleaners, degreasers, pre-wash treatments, instant detailers, etc. 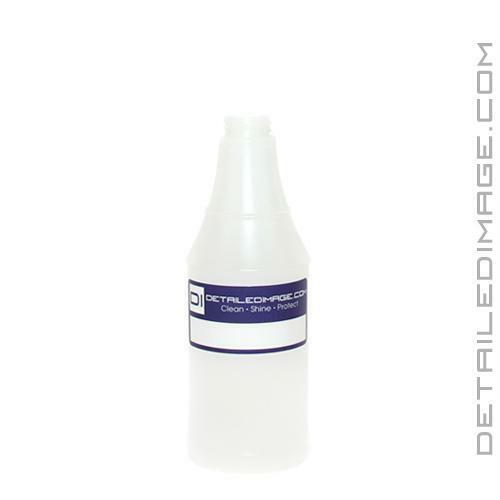 almost any one of your favorite detailing products can be added to this bottle with ease. The bottle does not come with a trigger or top, but we have two options that will work great. If you are looking to make this a spray bottle, the DI Accessories Adjustable Trigger is a great fit. If you want to cap your bottle, the DI Accessories Flip Top Caps fit the 16oz and 32oz sizes. This bottle comes in multiple sizes so you can pick the size you prefer. The side of each bottle features measurements to help you determine how much product you have left and easily dilute concentrated products. Grab a few of the DI Accessories Empty Bottles today and you'll be ready to use any product! Use these to show my pride in Detailed Image, while using my deluted solutions. It is just the bottle, the sprayer part was not included.